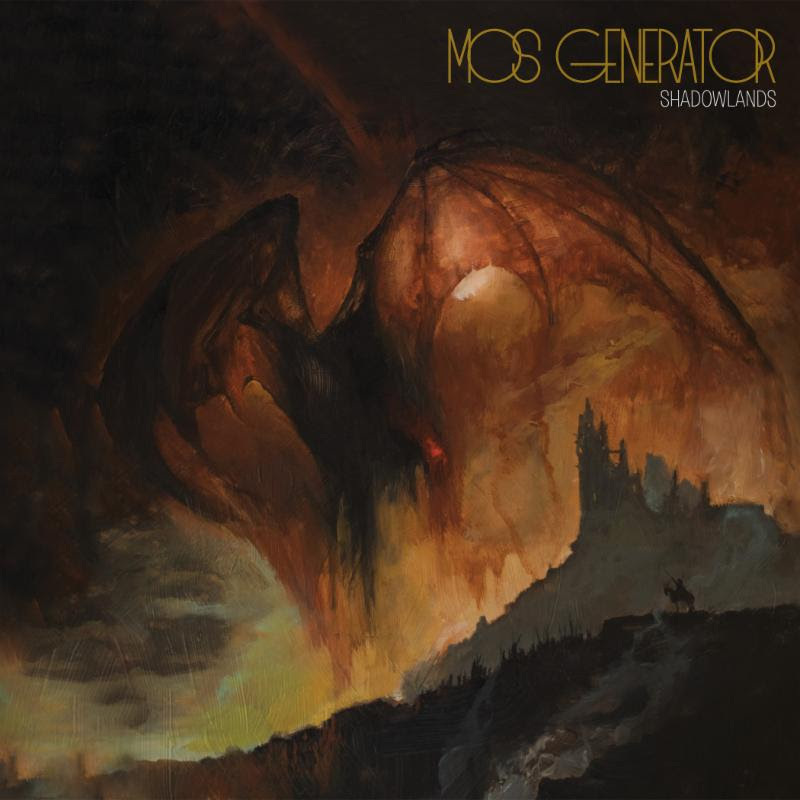 Mos Generator to Take Us to the Shadowlands With Upcoming Album & Tour – Ouch That Hertz! 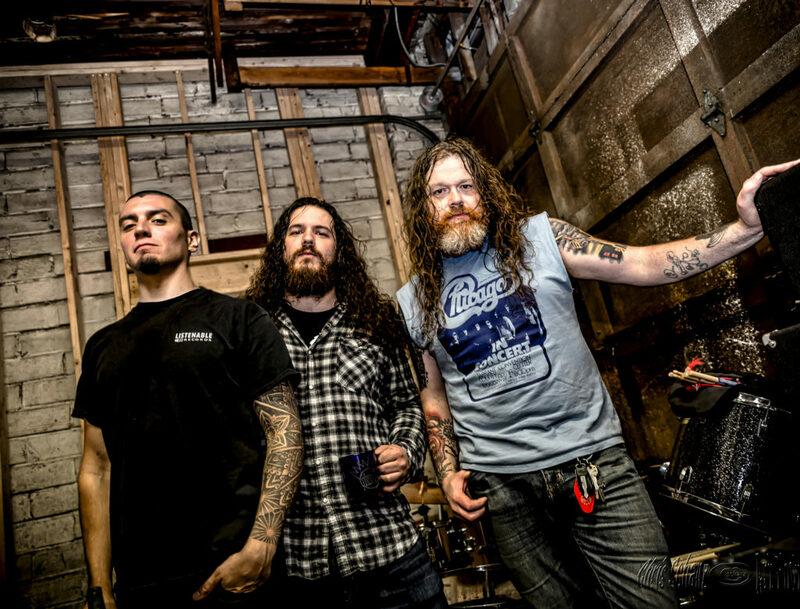 (March 26th, 2018) – For nearly two decades, Washington-based hard-rock trio Mos Generator have had the unique experience of bludgeoning the eardrums of listeners and fans both near and far with an extensive catalogue of groove and grit. We’re happy to report that they are back for more. Mos Generator recently announced a new full-length record titled Shadowlands, set to release this May via Listenable Records. In tandem with the new album announcement (and in advancement of the release), Mos Generator will embark on a month-long cross-countyr tour of the United States, aptly titled the Road Rats Tour. 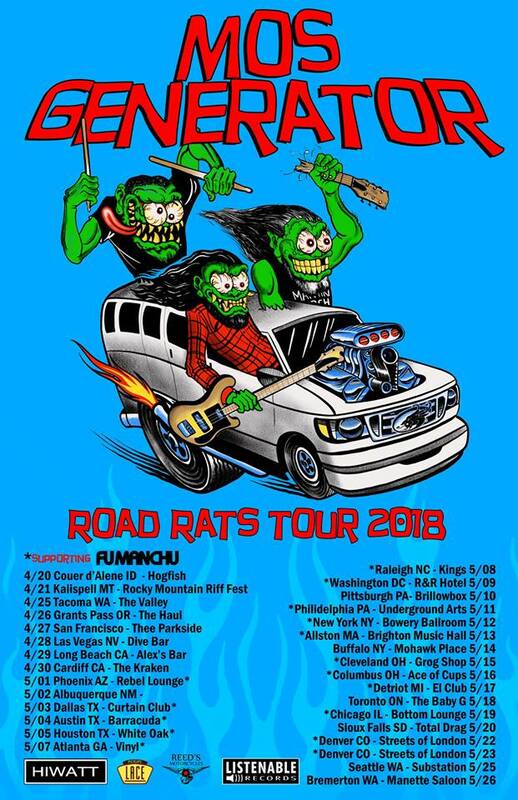 The Road Rats Tour, which kicks off on April 20th in Couer d’Alene, ID and ends on May 26th in Bremerton, WA, will also include 16 dates supporting stoner-rock titans Fu Manchu! A complete list of dates can be found via the tour flyer below! Shadowlands was recorded in three sessions – June 2017, November 2017, and January 2018 – at the HeavyHead Recording Company in Port Orchard, Washington. Featuring 8 tracks of what is sure to be utterly sinfully delicious bite into hard rock heaven, the album also comes swathed in the cover art of Adam Burke (Pilgrim, Satan’s Satyrs, Hooded Menace, Artificial Brain). This recent foray into biting rock musicality is the eight studio installment of Mos Generator’s llengthy career, which already includes seven studio albums, a retrospective album, a live album, and a plethora of split releases. Although quite the mainstay with their signature sound, the band is not insusceptible nor unwelcoming of necessary change. The year 2015 brought in a new rhythm section for the band, which further secured touring possibilities far beyond the limitations of the original lineup. This new lineup has changed the band into a relentless touring machine, delivering critically-acclaimed performances both states and abroad.With a historical appetite for the meticulously groovy and hellaciously grungey, Mos Generator’s Shadowlands is sure to be a most appealing delight that is fit for any palate. Shadowlands will see release via Listenable Records in Europe on May 11th, followed by a US street date of May 18th with preorder info to be announced in the coming weeks. Mos Generator was formed during the Winter of 2000 in Port Orchard, Washington from the ashes of a decade-long on-again-off-again collaboration between its three members, all of which are long time veterans of the road and studio. The need to strip down to the basics of hard rock was apparent from the start and continues to be the foundation for the band’s recent material.